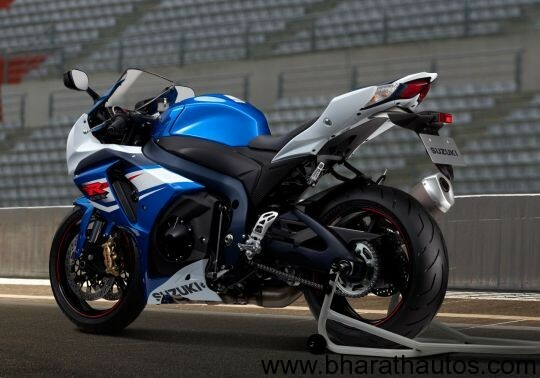 Suzuki Motor unveils its 2012 edition of GSX-R1000 superbike. While the exterior looks the same it had reduced its internal weight, making it lighter than old model. Suzuki engineers have managed to trim 2 kg off the whole package. This has resulted in better engine and chassis performance. 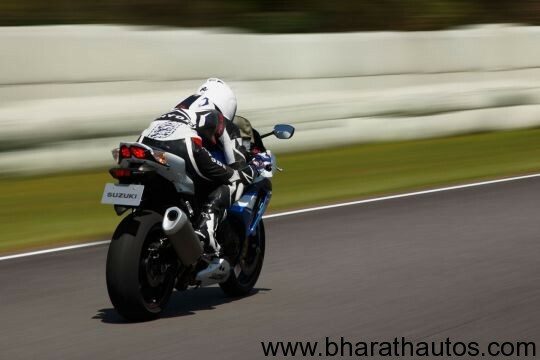 Suzuki GSX-R1000 as worked on its engine for better performance. Lighter components helped its engine for better power usage, which includes specially designed pistons, lighter tappets etc. The pistons are in fact 11 percent lighter than the original and aid acceleration and overall engine performance. The new developments come courtesy of the R&D that has gone into the Suzuki MotoGP machine. The lighter tappets allow for optimized valve lift with a revised exhaust cam profile for a slight reduction in valve overlap. Compression ratio has been increased from 12.8:1 to 12.9:1. 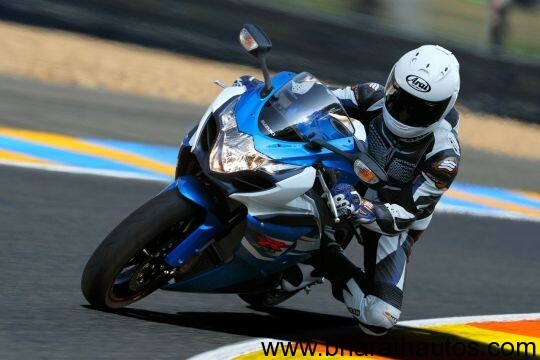 By putting the Gixxer on a diet Suzuki has managed to improve the chassis performance leading to improved maneuverability. A lightweight titanium silencer and a lighter 4-2-1 exhaust system also add to the weight savings. For improved braking performance, Suzuki has thrown in Brembo Monoblock calipers. That said, just recently BMW unveiled its latest version of the BMW S1000 RR superbike which again has been put on a diet and improved over the old bike. Suzuki hasn’t had the best of years at the World Superbike Championship. They finished last in the constructors charts while Michele Fabrizio missed out on a top 10 finish in the rider classification. Suzuki will be hoping to make a come back next year in both WSBK as well as MotoGP classes.